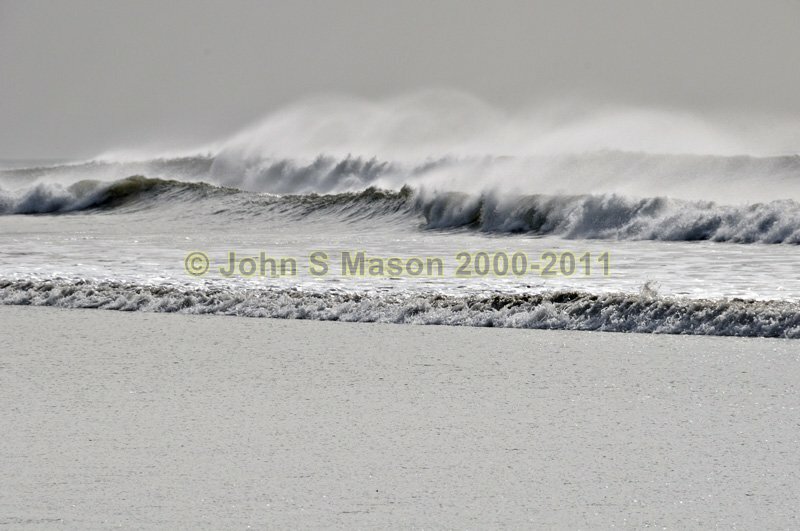 Huge swell breaking on the beach between Tywyn and Aberdyfi, with a strong Easterly wind ripping the spray back seaward. Product number 101017. Email me to enquire about this image: click HERE.